WATERisLIFE has launched “The Girl Who Couldn’t Cry,”, a follow up commercial to “Hashtag Killer” and “Bucket List. The premise of the commercial is simple. 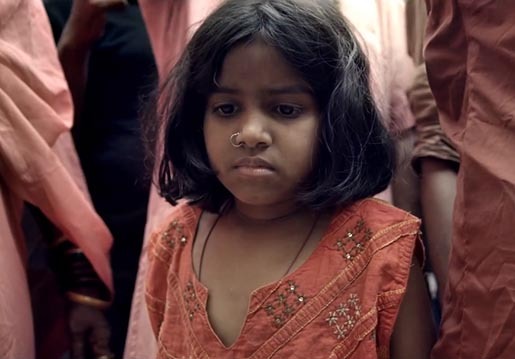 Show the unbelievably tough life of a young girl growing up in the slums of India, who, despite her many hardships, never once cries. We see her born into a brothel, sorting trash at a landfill for meagre wages, being forced to marry underage and against her will, and finding out her mother is a prostitute, all without shedding a single tear. So how does this link back to clean water? With the simple fact that dehydration can prevent you from forming tears. Reminding us that no matter how bad a life situation is, it’s made so much worse by the lack of a basic necessity like clean water. The Girl Who Couldn’t Cry was developed at DDB New York by chief creative officer Matt Eastwood, head of production Ed Zazzera, executive creative director Menno Kluin, group creative director Andrew McKechnie, ADC/copywriter Frank Cartagena, ADC/art director Sam Shepherd, assistant producer Nina Horowitz, copywriter Dany Rothemund and art director Hannah Liffler. Filming was shot by director Rodrigo Garcia Saiz via Central Films North with executive producer John Barreiro, director of photography Beto Casillas, assistant director Alfredo Sanchez. Local production was by producer Prashant Sampat at Hundred Frames. Editor was Amanda Perry at No.6 with executive producer Deborah Sullivan. Colorist was Lez Rudge at Nice Shoes. Sound was produced at Sound Lounge by mixer Tom Jucarone. Music was produced at Found Objects by composers Trevor Gureckis and Jay Wadley, with producer Abby Bernstein.